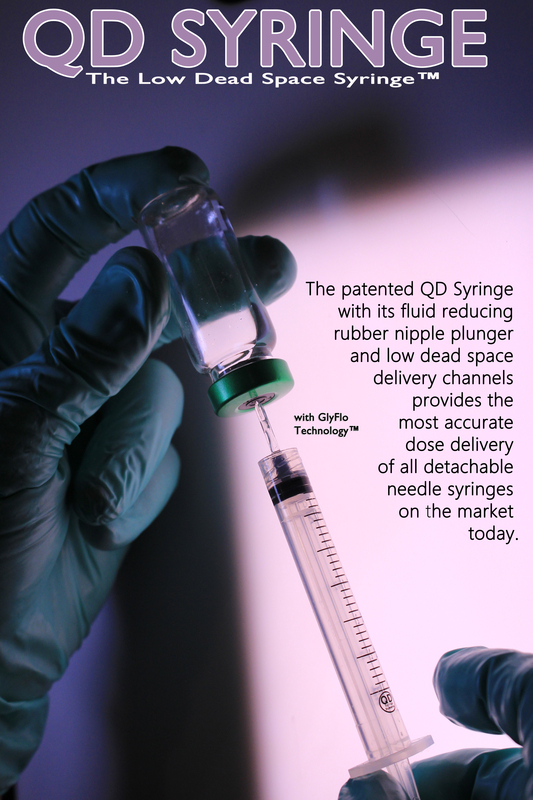 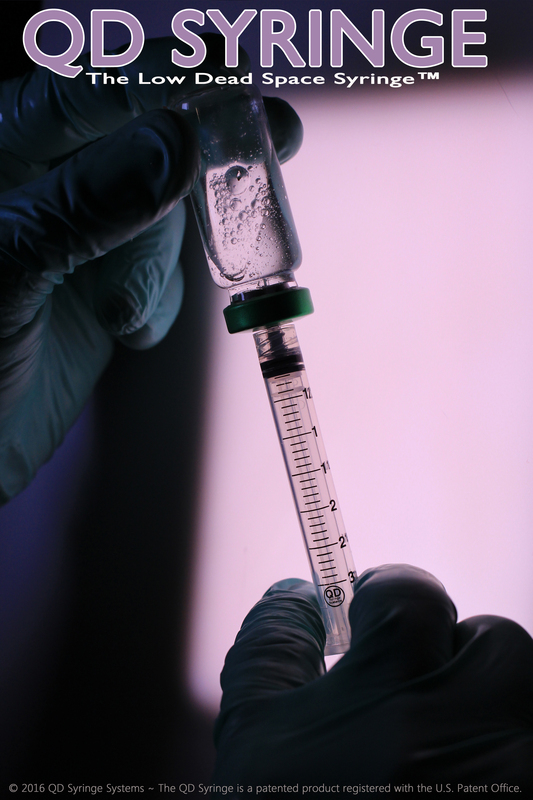 A New Syringe Designed for greater Dose Control ~ The patented design of the QD Syringe includes several innovative concepts that also help make it one of the most versatile syringe products available. 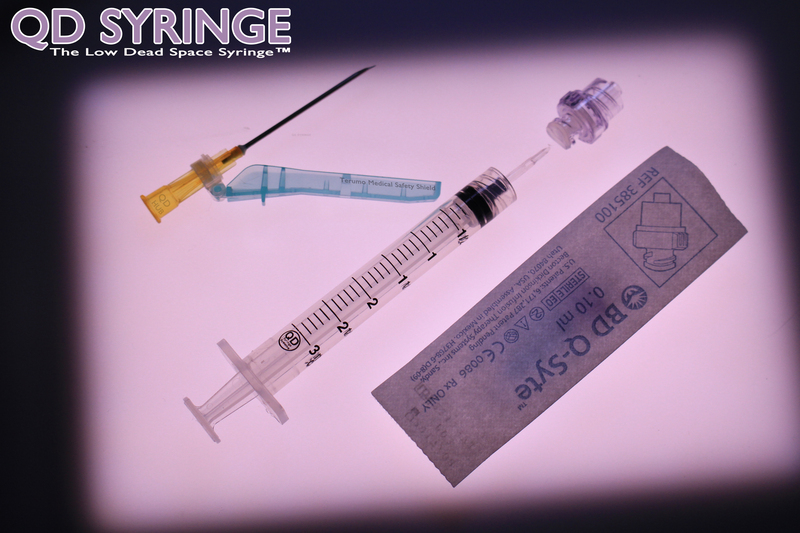 The QD Syringe consists of a patented BPA free acrylic cone tip with GlyFlo™ Technology designed as a ready to use draw down needle, eliminating time, needle dulling, hazardous waste and additional inventory ~ Unique bilateral fluid flow channels for easy draw and delivery of viscous liquids ~The QD Syringe is compatible with existing Luer Lock Hubs ~ The QD Syringe has a low dead space mating needle Hub available for up to 20 needle gauge sizes. 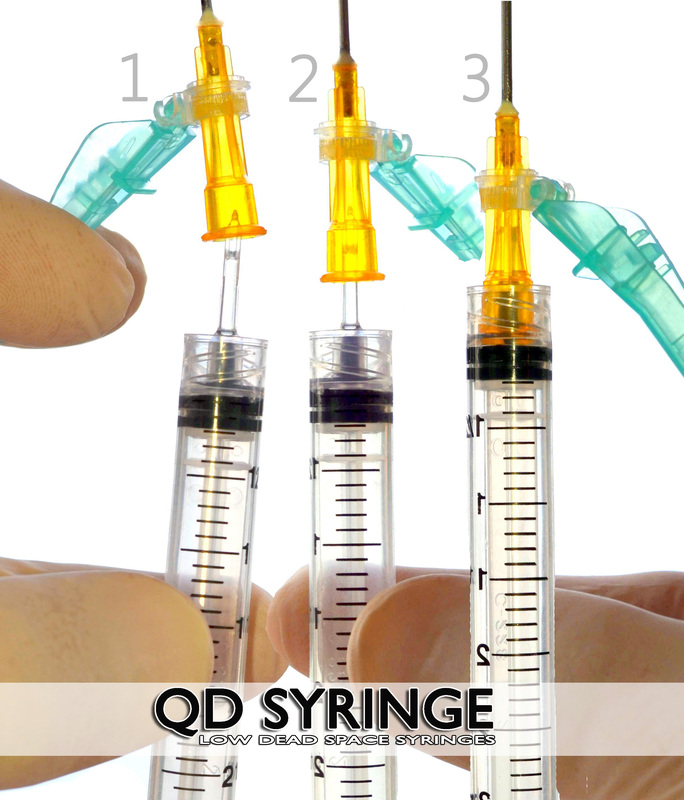 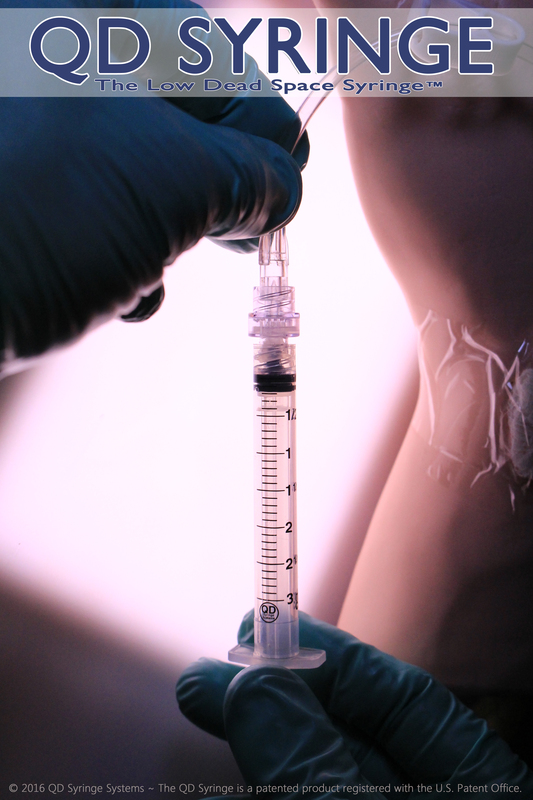 The QD Syringe is a BPA free medical device.